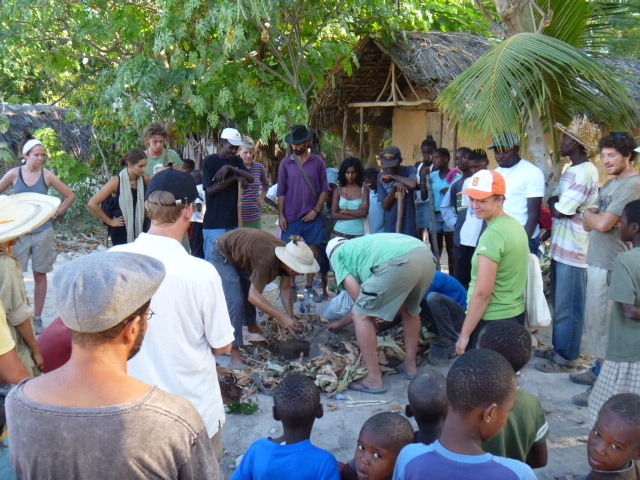 “For 2 months we studied permaculture in Haiti, at reforestation project Sadhana Forest in Anse-a-Pietre, a town of appr. 15.000 people in south east Haiti, just over the border with the Dominican Republic. ‘Sadhana’ translates as ‘spiritual practice’ and Sadhana Forest in India started in 2004 with the aim of reforesting wasteland outside the international township of Aurovillle. Sadhana Forest is organised along some radical guidelines, such as veganism, gift economy and unschooling, which make this project something else than ‘just another NGO’. Also, its organisational model differs, as it is a ‘tribe’ with ‘chief’ Aviram Rozin, its Israeli founder. 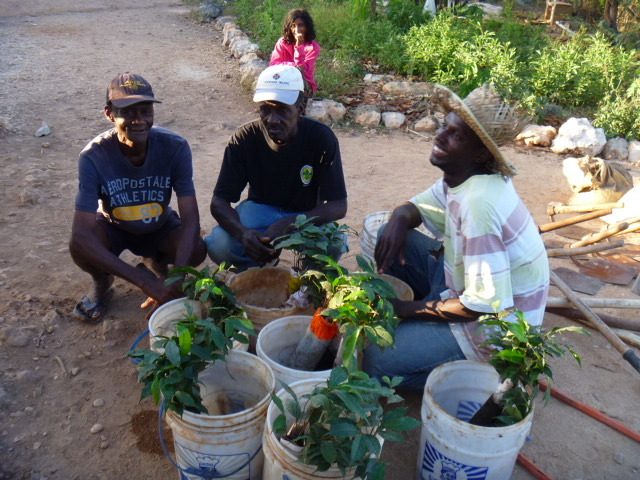 When an earthquake hit Haiti in 2010, Sadhana Forest was invited to come to Haiti and start a reforestation project in Anse-a-Pietre. 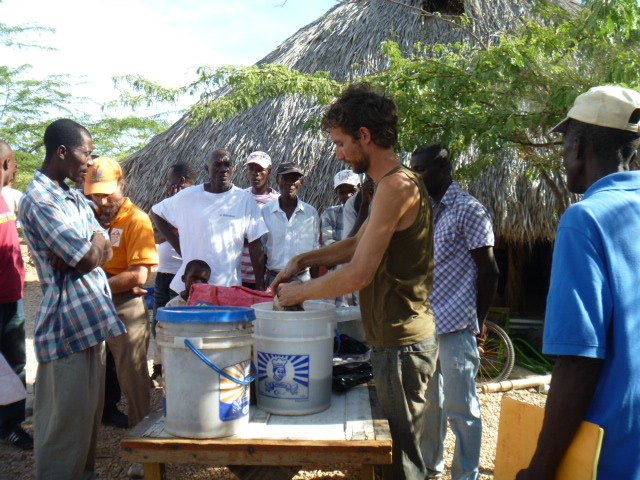 Since 2010 Sadhana Forest Haiti has been focussing on tree distribution among local residents and organisations of the Mayan Nut tree, locally known as Chocogu, that is native to surrounding islands in the Caribbean, and was once possibly native to Haiti. It produces a large yield of nutritious edible nuts (300-500 nuts per year) that can be ground into flour and prepared as a coffee substitute. 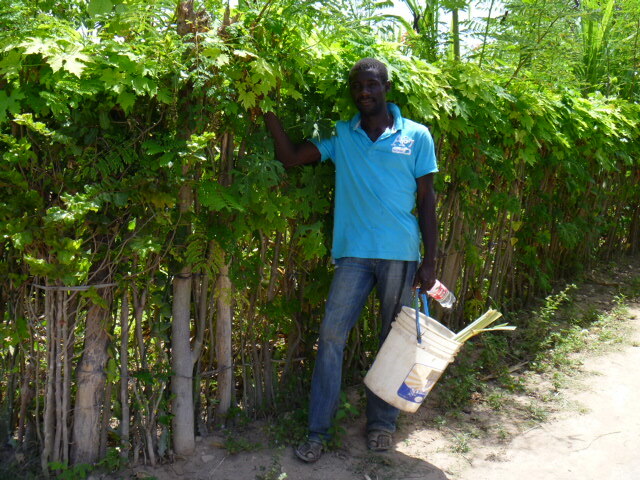 Another tree being distributed is the Moringa, also known as Drumstick tree in English or d’Olive in Haitian Creole, which has a range of amazing properties, including the ability to purify water, a food supplement and super food. 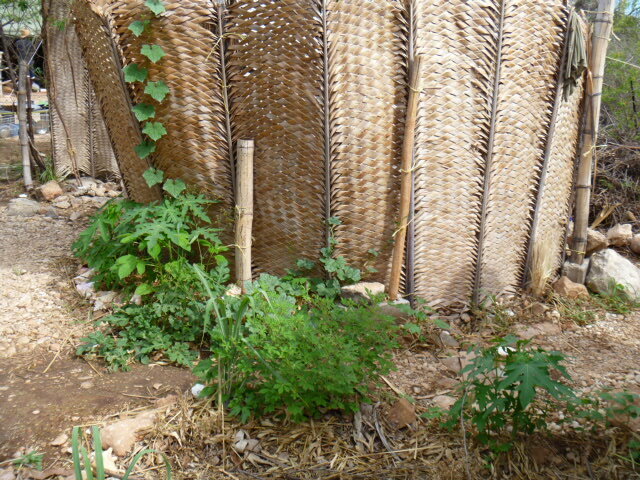 To give an idea: Moringa leaves contain more calcium than milk, more vitamin C than oranges and more iron than spinach! The environment where Sadhana Forest is based is very hostile, with little rainfall and an average temperature of 35°C, the floral landscape is being dominated by cacti and bedrock; and reforesting and growing gardens on bedrock is a huge challenge! But not impossible, we did make some progress in the 2 months we were on site! One project Nico facilitated, utilising water people use taking bucket showers for sponges and gardens around the shower screens. 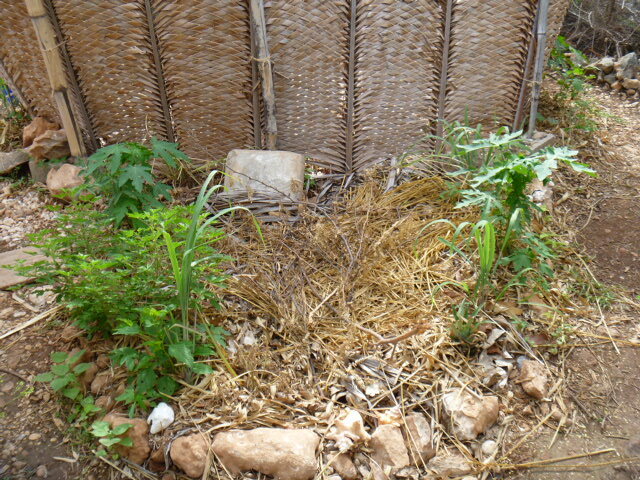 See some pictures how well the sponges and gardens are growing! Another challenge beside the hostile environment, was living in community with 50+ participants that came from all over the world for the permaculture design course. People from different backgrounds, with different motivations to be there, were placed in a hostile environment, camping out in tents for 2 months and doing full power physical work.